We made it to Finland! On Monday, four of us flew here: Mandy Gull, Deputy Grand Chief of the Cree Nation Government; Kaitlynn Hester-Moses, Youth Grand Chief of the Cree Nation Government; Clayton Thomas-Muller, climate justice activist and member of Mathias Colomb (Pukatawagan) Cree Nation; and myself, Philippa, Forest campaigner at Greenpeace Canada. What for, you ask? Well, to stand in solidarity with the Sámi Indigenous Peoples living in the Finnish boreal forest. The Finnish government has proposed to build a new railway linking Finland to the Arctic Ocean in Norway, to attract industries based on heavy natural resource extraction to the north of Finland – including mining, chemical industry, and to create a new export route for pulp and paper products. They proposed this project without respecting the right of the Sámi for Free, Prior and Informed Consent, and in 2018, let’s face it, that’s simply unacceptable. The lands and forests of the Sámi have already been fragmented by industrial forestry and other activities. 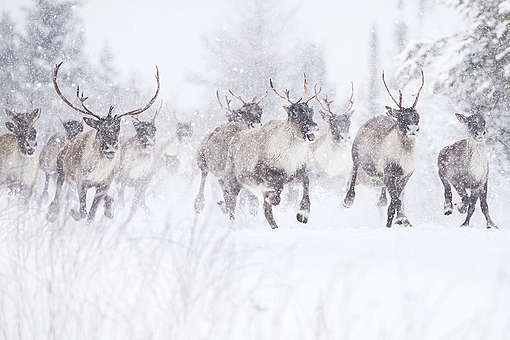 The Arctic Railway would threaten even more their territories, crucial for their reindeer herding livelihood. The reindeer could be killed under the trains. 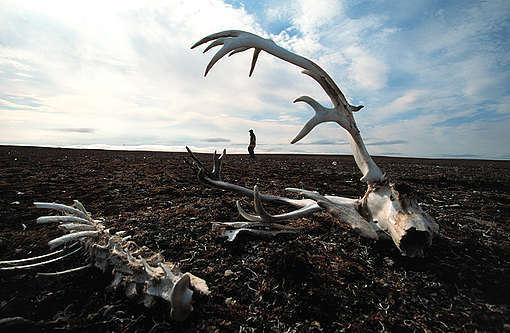 The traditional annual reindeer migration routes would be cut in two, which would affect the natural grazing cycle and cause damage that could not be compensated. The boreal forest in the high north is an extremely unique and sensitive ecosystem. The trees and vegetation grow very slowly due to the harsh climate, meaning that logging of these lands has long lasting destructive implications on the environment. Arctic conditions here have created specific ways of life and survival to which the Sámi have adapted and maintained. So here we are! Mandy, Kaitlynn, Clayton and I will be standing in solidarity with the Sámi to tell the Finnish government that if they pursue this project, they can expect a global and powerful movement of resistance. 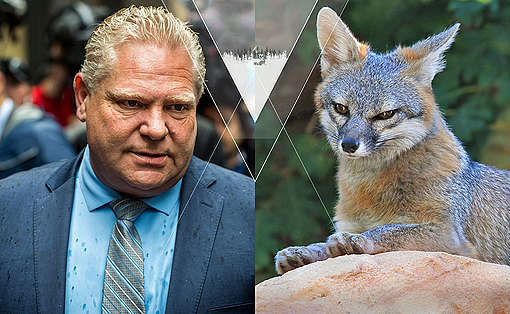 This resistance movement is alive in Canada as well, where our governments sell our carbon- and biodiversity-rich forests to industry without Indigenous consent. We’ve seen First Nations’ communities heavily logged, like the Cree First Nation of Waswanipi who are fighting to protect their last ancient forest of the Broadback. Add your voice to the movement: sign the petition. But across the world’s boreal forest, from the Broadback to the Sámi homelands, Indigenous Peoples are defending their lands, rights and cultures. And their allies are joining them. The fight to protect the forest and support Indigenous Peoples is truly a global one. Like today when I stand with our Sámi and Cree allies from across the boreal! Support Indigenous rights and protect the boreal forest by signing the petition. Follow our journey on Facebook, Instagram, and on our website through our blogs!